Elevate the brand to a level that matches the vision and growth of a contemporary furniture store that wants to take over the world. 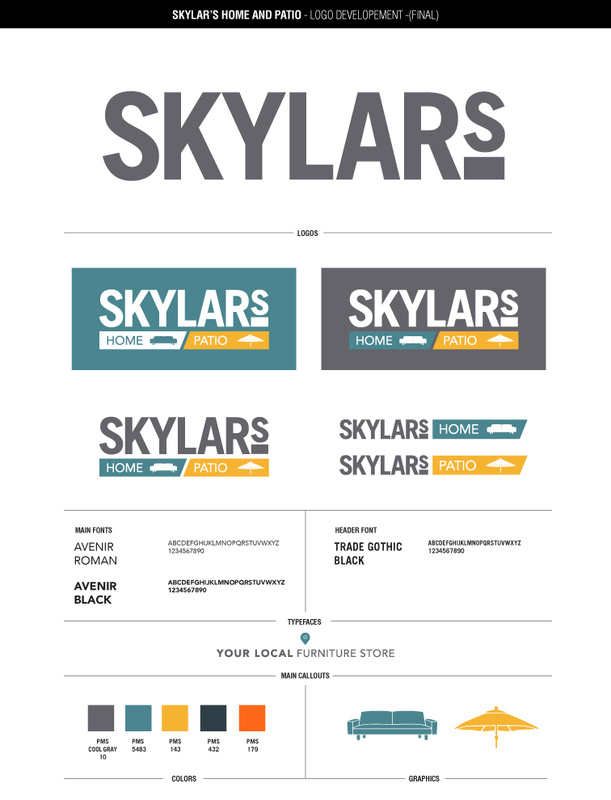 Skylar’s Home and Patio started in 2010, and similar to most start-up businesses on a shoe string budget, the owner, Skylar, designed the brand. With his hard work and dedication to high quality (and very cool) products along with great customer service, he built a very strong foundation for a growing business. When the time was right, he knew a brand overhaul was needed to match the momentum of his ambition. A couple of mood boards, multiple design comps, and some icon overhauls later, we had a solid new identity design. We chose a san serif font for the new logo to emulate clean lines and their contemporary products. 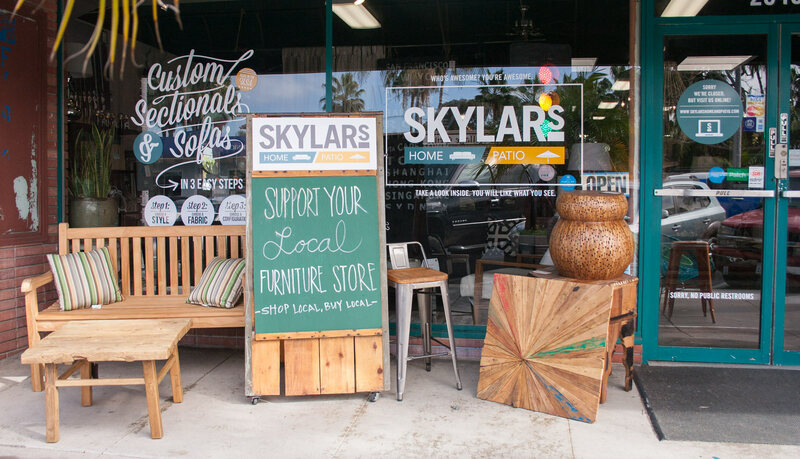 Skylar wanted to keep his brand fresh, beachy, and happy, so we chose some colors based upon his local Carlsbad beach town. The sandy blue helped enforce the ‘home’ side, while the poppy yellow makes you want to sit under a brand new Sunbrella®! 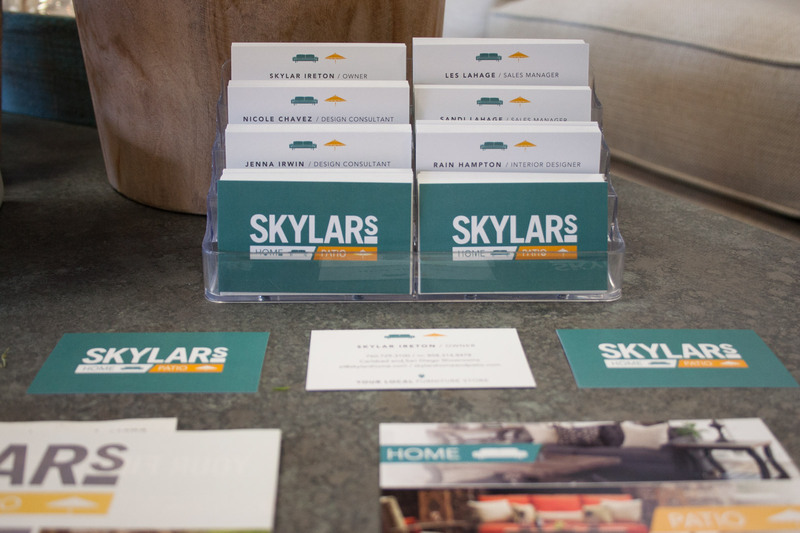 Skylar, why did you choose the Cowlick Appeal to handle your rebrand? “Because they are awesome, amazing, brilliant and super cool." As with all new or re-branding projects, establishing a final brand guideline creates a set of parameters needed toget some pretty cool stuff done. We had a blast using our newly established resources to design a variety of printing needs. 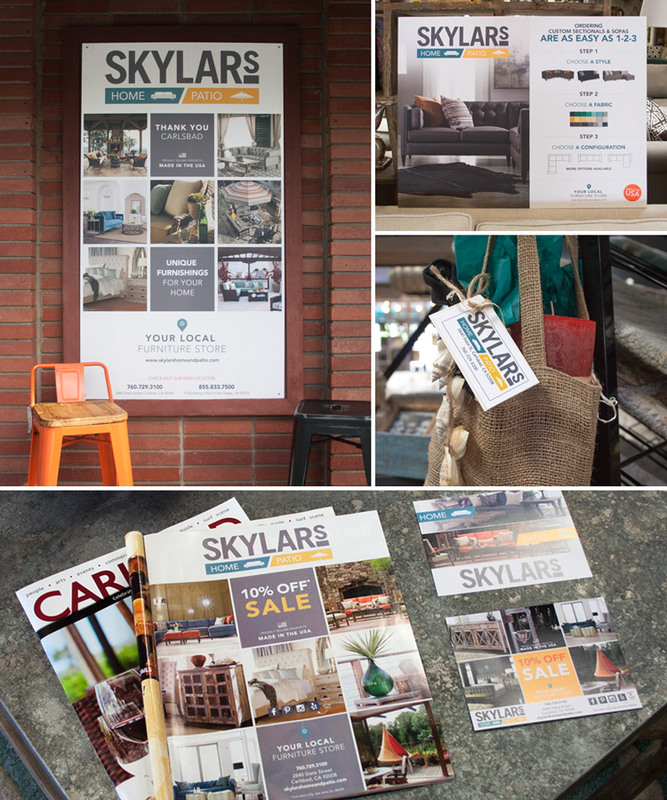 From giant outdoor signage to vinyl window store promotions, we had the opportunity to push his new look and merge a variety of marketing campaigns. 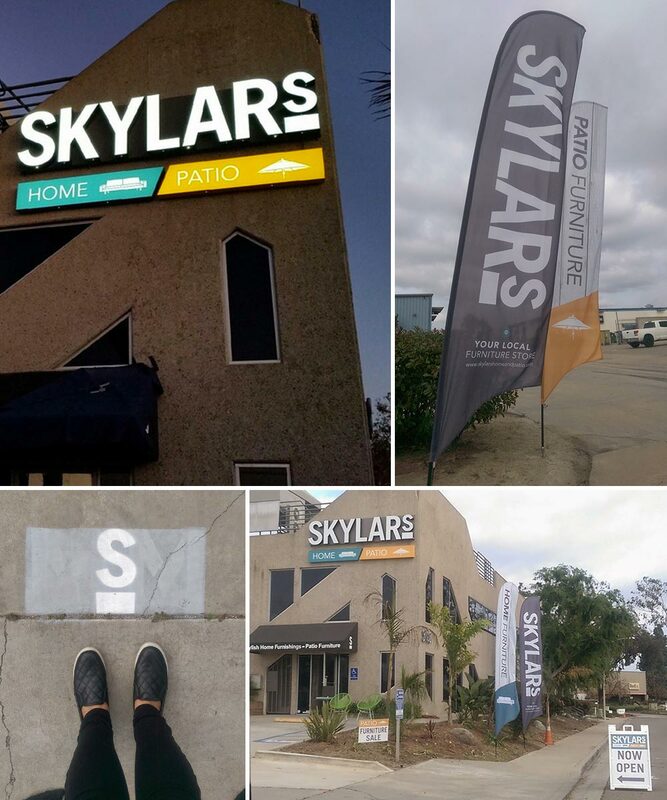 Skylar's Home and Patio had opened a second location in San Diego, CA. This is evidence how a good brand can be flexible and applied to different locations and mediums. Right down to parking spaces. To help the brand stand out from the rest of the competition and grab one's attention on the freeway we wanted to apply the logo to a dark truck to make the strong logo pop out. 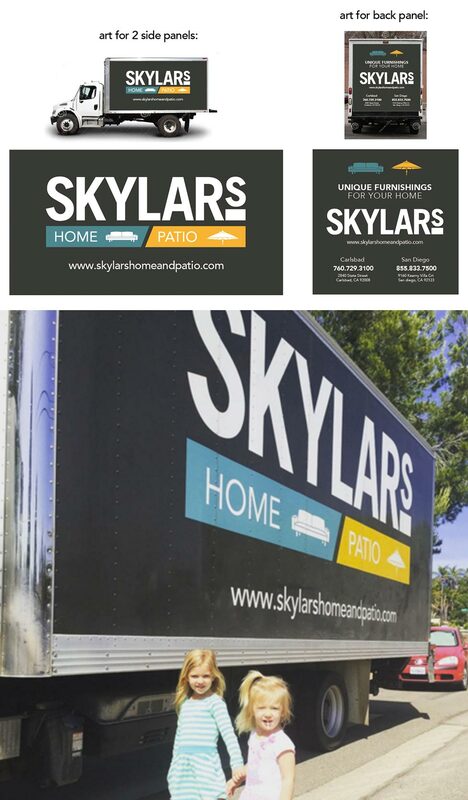 Keep an eye out for the Skylar's Home and Patio delivery truck on the road. Adult tested, kid approved!